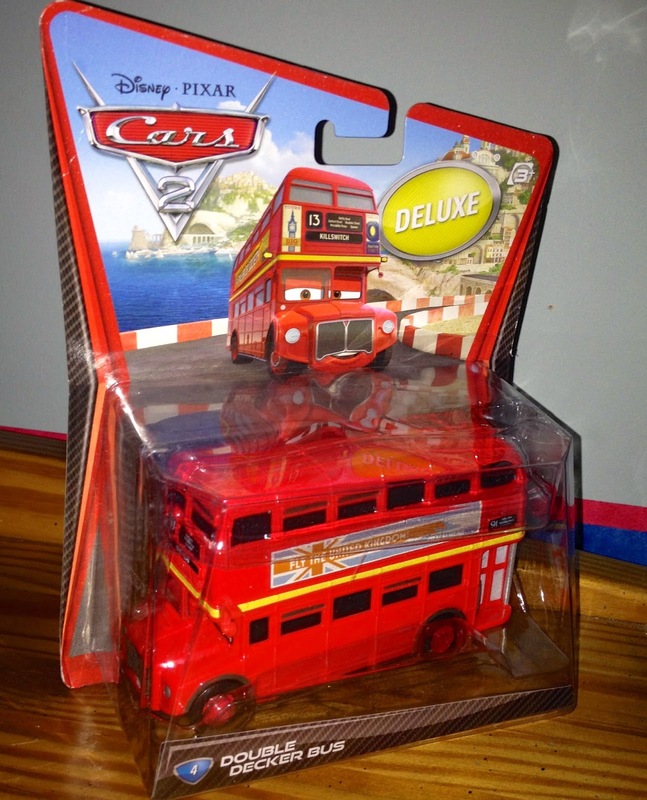 Double Decker Bus here was released in the late Spring of 2011 and was among the very first releases in the initial Mattel Cars 2 series. He is a Deluxe size 1:55 scale diecast vehicle. 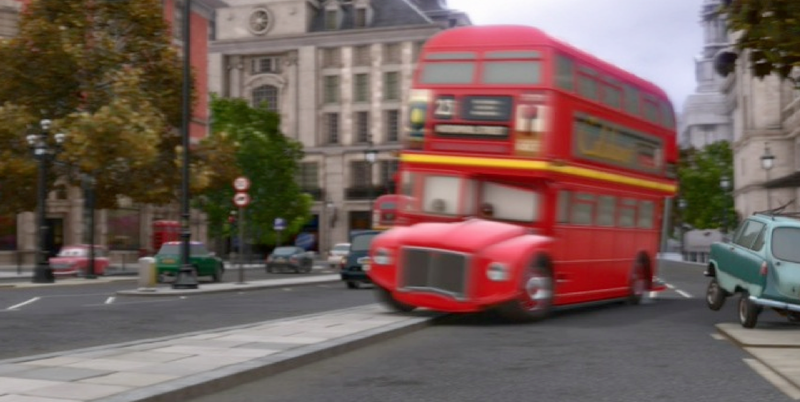 In the film, Double Decker Buses can be seen just driving the roads during many of the London scenes (screen shot from one of the more prominent appearances above). REMINDER: If you haven't yet, be sure to enter this week's giveaway HERE for your chance to win a brand new Disney Parks Up inspired Dug Spinner Pin!